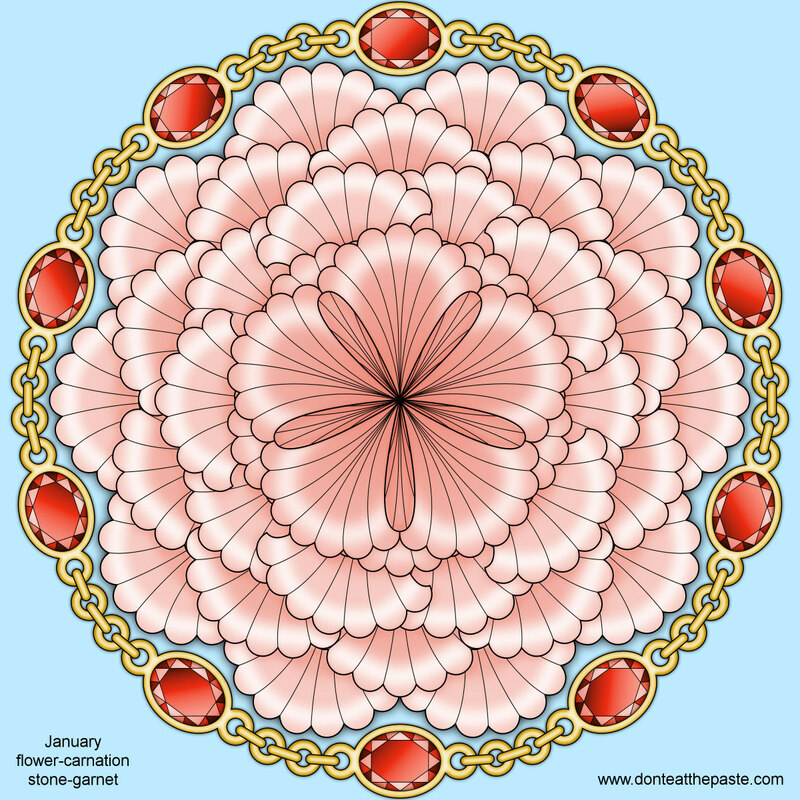 Last June, on a whim, I did a birthstone/birth flower mandala with roses and pearls. 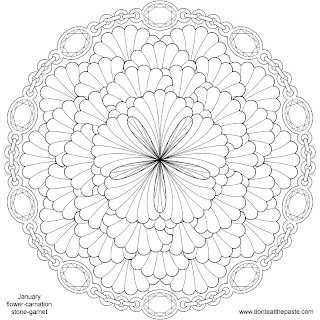 At the time I thought monthly mandalas would be brilliant, but decided to start in January. 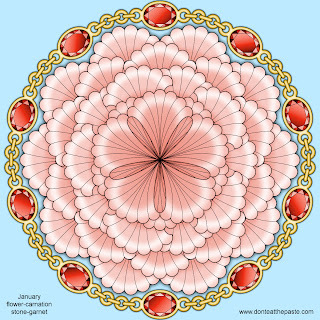 So for the first mandala of this year to color, it's January's birthstone- Garnets surrounding a stylized carnation! Carnations have petals in multiples of 5, with some few species having 40 petals, so this one has 40 petals. It's colored pink which stands for a mother's love. But by no means feel limited by conventional color choices. One of my favorite things is when people contact me on Facebook to show all the wonderful and creative ways they color these in. I picked the oval faceted on the recommendation of my friend Rosemary who says it's her favorite shape for garnets. Happy Birthday to all the people born in January! 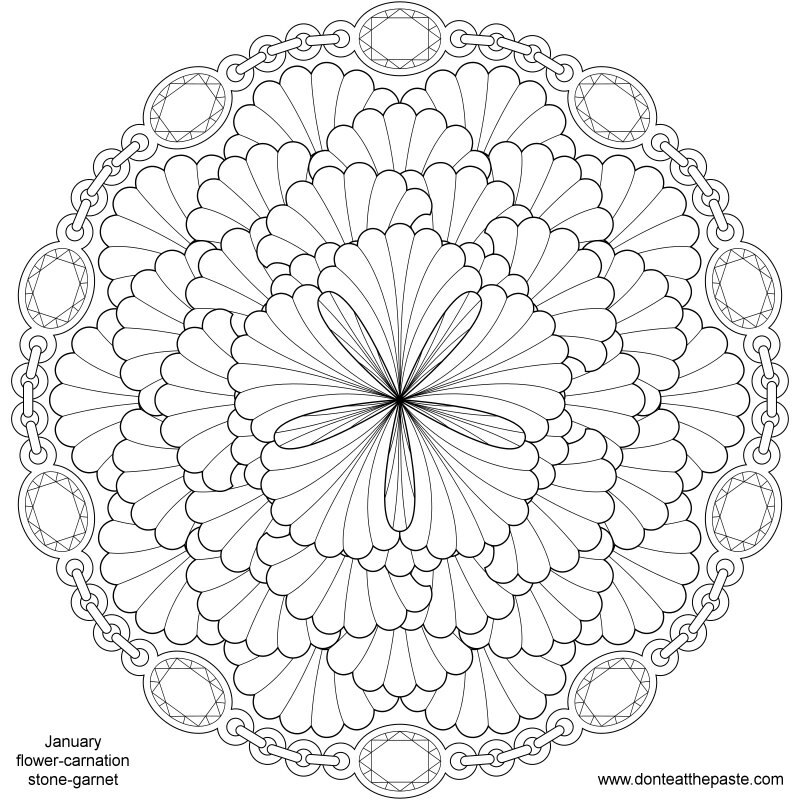 I hope you enjoy this mandala to color. Click on the images for larger versions. Oh, pretty! Thanks, Shala, for sharing!